Hyosung GT650X’s engine is a development of Hyosung’s familiar 647cc 90 degree V-twin, with double overhead valves and four valves per cylinder. 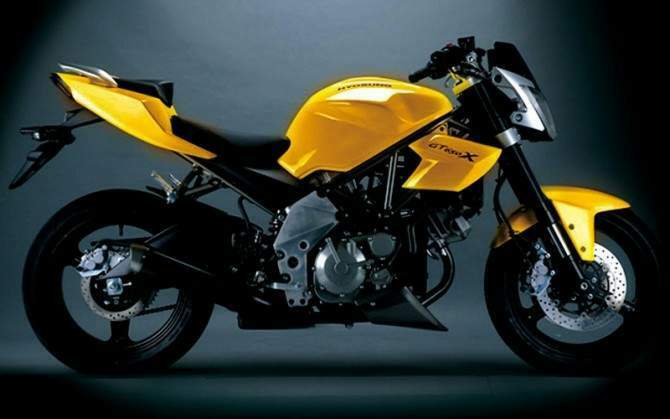 As the engine is closely based on the Suzuki SV650 there shouldn’t be too many question marks over reliability. The engine is fed by the latest electronic fuel injection and produces 82hp power with improved fuel efficiency, more low speed torque (67Nm at 7,250rpm) and stronger performance. Vibration is minimised by counterbalancing and a new oil cooler aids performance and durability. The exhaust system is kept low for mass centralization. Engine is wrapped with tubular chromium molybdenum (CrMo) steel, very rigid for improved handling and low vibration. 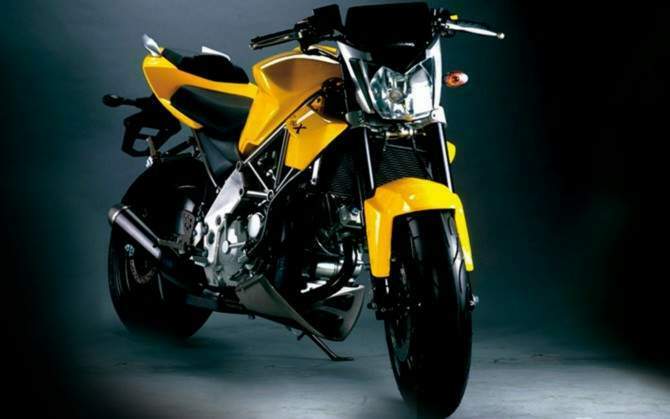 The swing arm is rigid, but low weight aluminium and unsprung weight is reduced with lightweight five-spoke wheels. Tyres are 120/70-17 ZR and 180/60-17 ZR. Braking performance features disc brakes, a 300mm with radial mounted four-piston callipers. Meanwhile instumentations features analogue and digital. Aggressive looks with angular styling, but Hyosung claim to have paid special attention to both ease of riding and comfort.